Awesome PHP and Android Development Tutorials. 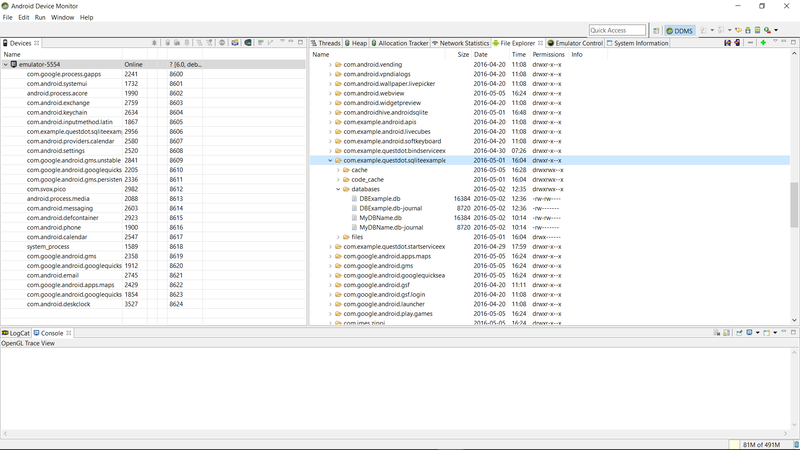 Everybody should be very curious about what is inside the Android SQLite Database. Many people ask about can we view android sqlite database structure and tables? In the short answer is yes, we able to view the database table and records in our computer. In this post, I will give you all the steps to view Android SQLite Database from android emulator in your personal computer. For the last result, you can just select what database that you wanna to see. There have many android emulator in the market. I recommend you to use Genymotion because it has a very good performance and easy to use it. Besides, HAXM emulator has been upgraded by Google, it is much more better, you can just download it from Android Studio IDE SDK Manager. 2. Sample Android SQLite Project that you wish to see the database. You can get sample SQLite project from this link SQLite Database Example. 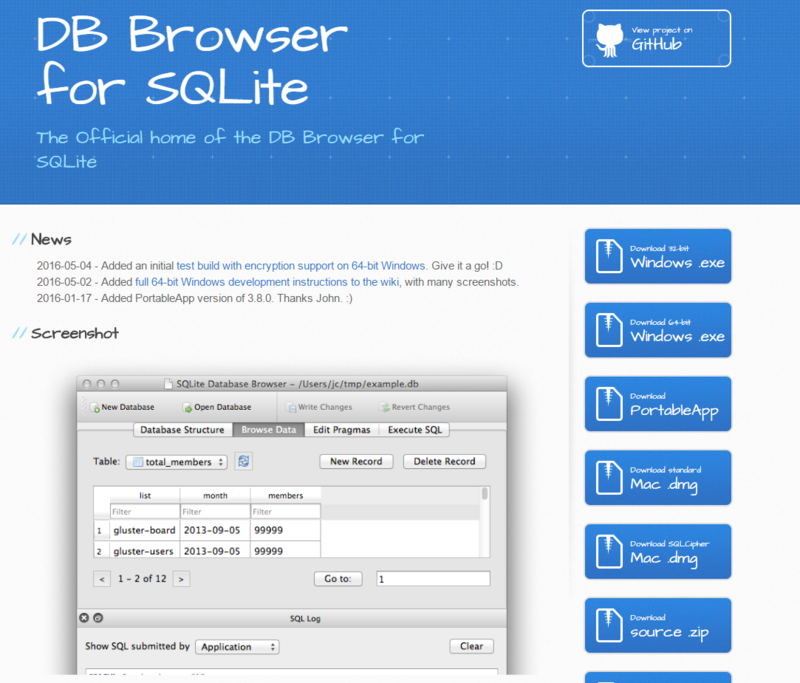 In your internet browser enter the link http://sqlitebrowser.org/ to download the DB browser for SQLite. There are many version of DB browser, If you are the windows user download windows.exe. After downloaded the DB browser for SQLite. Click the installer and install in your computer. Open Android Studio IDE and run your emulator for example I will open Genymotion emulator. 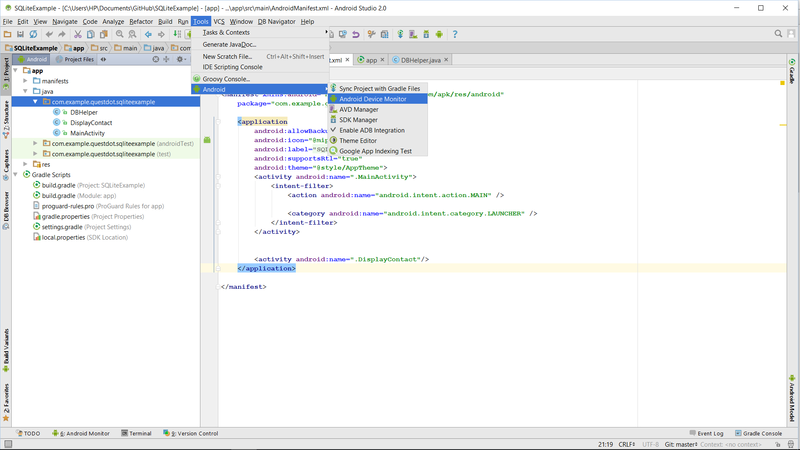 In the Android Studio toolbar, select Tools > Android > Android Device Monitor. It will poop up a dialog box to call you close debug, just click yes to proceed. When open the Android Device Monitor (DDMS), select the emulator that you connected in your computer from the left side section. After that, choose the folder in the right side section. Follow this path data/data/package name ( eg com.example.questdot.sqliteexample). 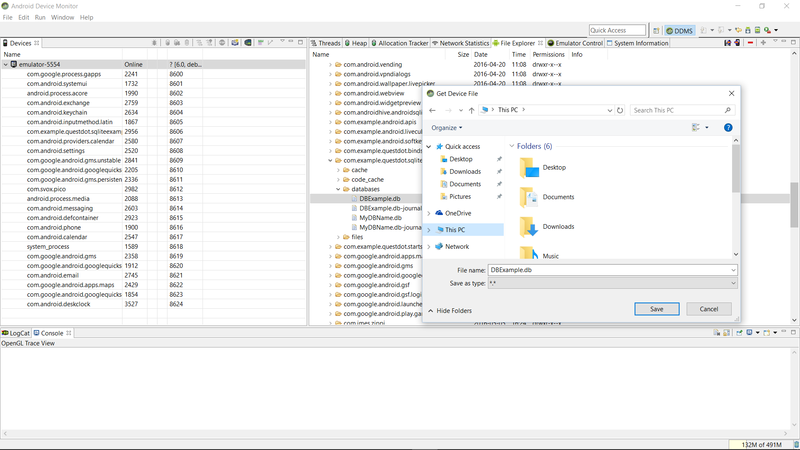 You will see db file inside the databases folder. 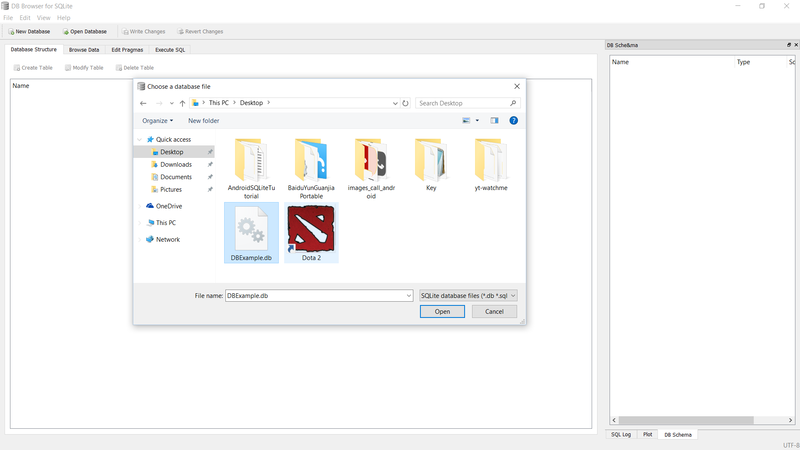 Choose the db file that you wanna to save and click the save icon to save the file in your computer. 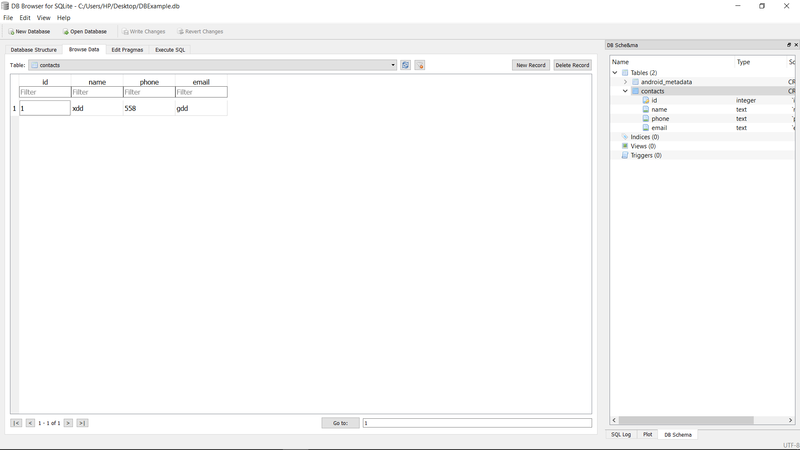 Open your DB browser for SQLite, from the toolbar click File > Open Database to open the db file. Congratulation now you can view the database table and structure in the DB browser. In the Tab section, Database Structure can view the database name , field name and type. While Browse Data, can view what database had been record in the selected table. Yeah…. you just learn how to view android sqlite database on your emulator. Its is very easy for all beginners. A crazy android and web developer. Passion on developing android application and exploring new technology as a hobby. Tromerce is the future generation online marketplace with decentralized, cashless, trustless, permissionless, autonomous and transparency. Tromerce is the future generation online marketplace with decentralized, cashless, trustless, permissionless, autonomous and transparency. It is the ecosystem of P2P connected nodes; there are no servers and fully decentralized. Tromerce is built on top of the Ethereum blockchain and using the smart contract to describe the application logic. It connects P2P with people around the world, trade new and used items without intermediaries, send and receive funds effortlessly, the decentralized community comes to life.